You are here: Home / Uncategorized / Which Way Croatia: Liberal or Illiberal Democracy? Which Way Croatia: Liberal or Illiberal Democracy? 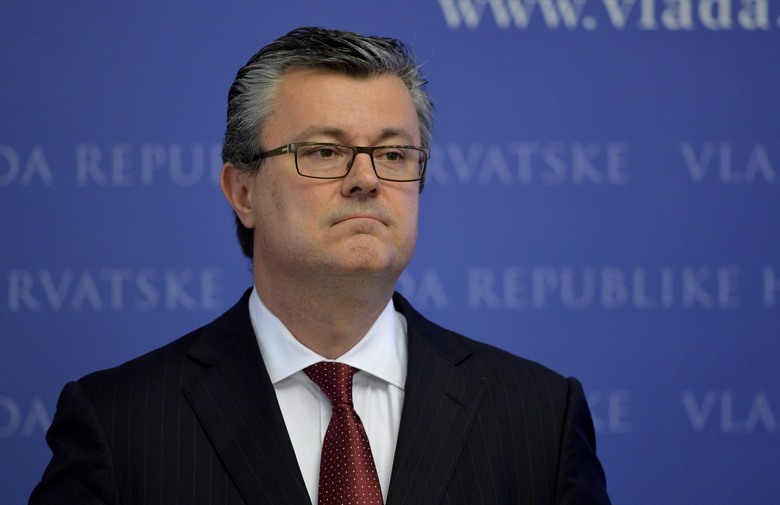 Next week seems set to shed light as to whether Croatia’s Prime Minister Tihomir Oreskovic has indeed been a weak Prime Minister, failing to adequately implement the needed reforms that were promised to the voters of Croatia at last elections, late 2015, and whether he has, as Croatian Democratic Union/HDZ claims, been more preoccupied with his own political niche and agenda that is in contradiction with the technocratic, professional role (towards implementing set reforms) he was appointed as Prime Minister to pursue. Croatian parliament will, during the coming week, entertain the subject of HDZ’s (Croatian Democratic Union/ majority party in coalition government) motion for vote of no confidence against Prime Minister Tihomir Oreskovic and Oreskovic will, as announced, step before it in an effort to defend himself. Hence, the end appears nigh for the current lot of tortuous speculations, allegations against specific members of Croatian government and endless sensationalism served by the media. Next week, then, is likely to deliver some reprieve to the confused, angered and tortured public. 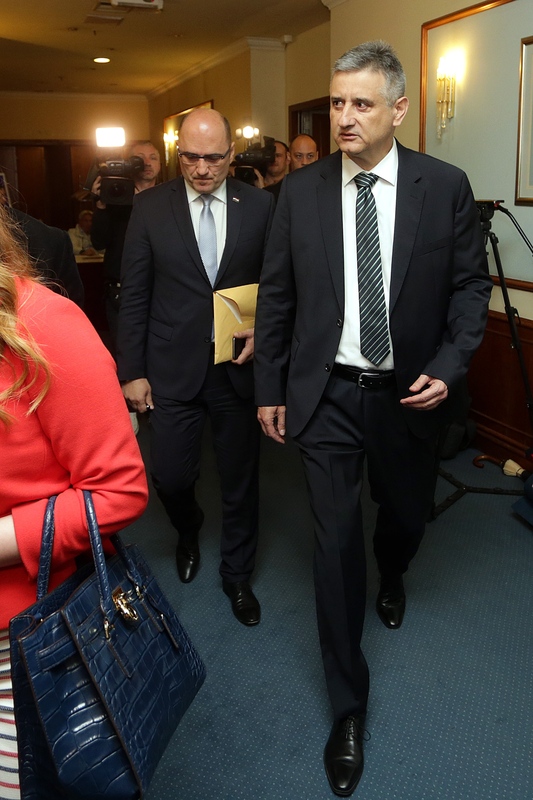 Furthermore, the Croatian independent authority deliberating on whether there had been a conflict of interest to pin against Tomislav Karamarko, leader of HDZ and the First Deputy Prime Minister, has announced it would publish its findings around noon Wednesday 15 June. Hopefully, then, next week is likely to shed some further directional light as to the source/s of the staged political crisis Croatia has been exposed to ever since February 2016 or earlier when vicious attacks began against HDZ’s ministers and leaders. • On Liberal democracy that frames rules that maximise the well-being of all or most citizens. This month. 25th June 2016 will mark 25 years since Croatian parliament voted for secession from communist Yugoslavia and thus, put in place the Liberal democracy its 1990 referendum sealed as its future path. 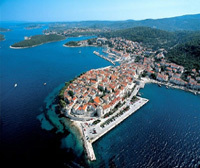 Croatians have always considered themselves as being more Central European in culture and geography than being Balkan. Hence, the democracy they voted for, by a staggering 94% vote, in the 1990 referendum, was a Liberal one modeled on the “West” rather than some hybrid of democracy which could amount to an Illiberal one; the one reminiscent of government or significant elites’ controls they experienced under communist regime in Yugoslavia. Regretfully, it appears that this priest, the Chief Editor of the Catholic Glas Concila publication does not consider the rights of individuals as legitimate, as the most important rights Liberal democracy must uphold! This individual the above Glas Concila article refers to is indeed a member of the political party in government but in the eyes of the public he is still an individual with rights to due process that are same as the rights of individuals not in government. Indeed, to my view, the individuals in government must uphold and fight for the rights of individuals (including self) under any and all circumstances otherwise the door to illiberal democracy is wide open. How close reported Opus Dei activists in Croatia who are said to be among advisors to the Prime Minister Tihomir Oreskovic (e.g, formerly New York based Stjepo Bartulica) are associated with this appalling commentary in the Catholic Glas Concila is anyone’s guess, but certainly the guessing game does become easier once matters of possible influence are placed in the context of Liberal versus Illiberal democracy; the latter being considered as acting against rights of individuals and promoting pressure from political or other elite groups. I agree 100% with priest Ivan Miklenic, However, he is not alone, even the close ministers to Karamarko are saying the same thing. Karamarko’s biggest fun Tihomir Dujmovic and European parlamentarci all have repeated many times to Karamarko to give up and save Croatia from falling to Milanovic. Well rb Karamarko has been saying he will step away etc in the past ten days or so, what I was thinking is the times before that when to my view there was no other option but to act differently than he did to defend the due process and justice everyone seems to have forgotten including the Euro-parliamentarians. Just because a hate campaign has been mounted against him primarily by SDP and others picked up on it does not mean he had to go straight away without trying to save the government from being handed over to Milanovic. The priest, the Euro-parliamentarians and all who called for him to resign before he was found guilty or innocent of conflict of interest played right into the SDP hands and Milanovic. That is my take. I do not see the individual in this but individual’s rights. Incredible: definition:too extraordinary and improbable to be believed. Croatian politics: definition: where the extraordinary and improbable is commonplace and unfortunately too real to be disbelieved. MOST has a lot to responsibility for the crisis, but Karamarko could have quelled things by stepping down temporarily. There are plenty of examples of this in western liberal democracy. It is simply an acknowledgement of accountability but not guilt. I understand that the SDP are in the business of guilt by accusation, and this could be a slippery slope, but we are not talking months or years for an investigation, just a few weeks. Yes, I think you are right. I am very disappointed in the PM too. Coming from a ‘liberal’ democracy in Canada he should have know better…innocent until proven guilty. 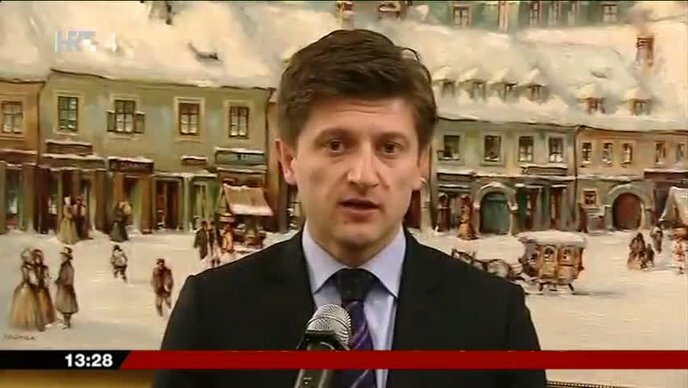 Let’s hope the HDZ strategy works and we can finally get on with managing the country, improving lives, and building a prosperous future…which means that the foundation of the Croatia must be on solid footing…fully revealed historical truth and justice, and of course lustration. Democracy is fragile. In Britain, we have not had it for a century: until 1918 all women and most men- those who did not own land to a certain value- could not vote, and in 1918 there were still thought and speech crimes, known as “sedition”. Now, we have a referendum which could significantly harm the interests of the British people, conducted by appeals to emotion and outright lying; a referendum which should never have been called by people with the interest of the country at heart, called to paper over cracks in the Conservative party. That party also proposes blanket surveillance of all emails texts and phone calls. From reading the comments so far, I’m reminded of a large placard that I saw at the Rector’s Palace in Dubrovnik 2 years ago. It reads, “The price of freedom is not for sale for all the treasure in this world.” Originally this inscription was above a gateway at the one of the city’s forts. It’s well stated! Thank you Elisa for that reminder. Very strong statement. Is it just me Ina, or are large numbers of Europeans (not just Croats) incapable of actually understanding how liberal democracy works? Or rather the specifics of it such as individual rights and liberty being just as valued, if not more so than the collective? It’s got me thinking that democracy has failed in Europe, but then I am not 100% sure if Europe ever truly understood the classical liberal idea of civil liberties. I would love to be proven wrong. It’s because they were ‘marinated’ in a communist system where people live off the government teat like parasites, buy votes and favours, etc…. It’s not something solely in Croatians. These issues are in so many jurisdictions there. The irony is it doesn’t explain the mess in several south american nations. It’s a new and fascinating site. They need our support so I encourage everyone to view their site and spread it around via the web. If you’re going to base your arguments entirely on legal principles, I suggest you consult a lawyer first. Due process was something first formulated centuries ago to protect citizens against the govt violating their basic human rights. There is no basic human right for an individual to hold public office. It is a privilege, not a basic human right. Individuals that assume positions that require the public’s trust, such as judges, lawyers and politicians, may be required to step down from those positions simply due to the mere appearance of impropriety. Full stop. Do you understand? Kapis? Razumis? You’re going to need a new argument to sustain your point here, honey. The fact that Karamarko refuses to recognize this basic point is troubling, both for his political party, and, more importantly, for democracy in Croatia. The mere appearance of impropriety is enough to disqualify an individual from holding public office, particularly when said position depends upon the trust of the general public. Due process does not extend in these circumstances to protect the official’s political position. The individual has the right to defend him/herself in a court of law, but due process does not extend to save the accused from be required to step down from his/her position until the matter is litigated. Moreover, the accused continues to be presumed innocent until proven guilty. That is a price that is paid for the privilege of holding a position of public trust. Doesn’t matter what the accused’s political party says or supports. That is the way the law, including the Democratic principles of due process operate, whether you approve or not. Full stop. I suggest you find another means to defend Karamarko. So, if a political party supports their candidate no matter the cause or concern, everything must be fine and aboveboard? Strange enough, sounds exactly like something an old political system that was in vogue for some 50 years post WW2 would suggest. Do you really not see the absurdity of your last response???? Please consult an attorney before you invoke legal principles to sustain your arguments. Due process is a sound legal principle that has been tried and tested for hundreds of years since the age of the Magna Carta. There is a sound legal basis for its exceptions, as well. Your concept has nothing to do with accepted legal practice but simply your biased views. Not trolling at all. I keep telling you that from a legal standpoint, due process does not apply in Karamarko’s case and I spell out for you the reasons/legal exclusion it does not. You refuse to listen. I can only surmise that there’s no real basis to actually defend Karamarko then. Your straw man argument masks your inability to think of anything concrete to add to a controversial situation apart from your “concepts” what fairness should presumably be. I suggest you enroll in a constitutional law course. Either that or lobby your legislators for a change in what the law is. 500 years of tried and proven law isn’t sufficient for you. 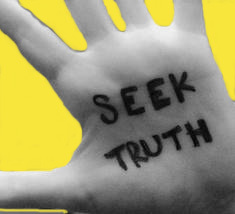 I will end this troll path – no one except you seems to think that due process applies only the way you see it. Well to multitudes it also means a person must be given an opportunity to prove or disprove allegations of wrongdoing – that is a basic right under the laws of free countries and just because Karamarko is not in courts but a state authority is investigating allegations of conflict of interest that opposition says cause him inacapable of delivering good government decisions, doesn’t mean due process or the idea of its justice does not apply. Good bye on this matter! Sorry Ina. I don’t have your email. Perhaps you can pass this around to your Australian contacts. I know they are working on two books and perhaps the diaspora can help them. Thanks a lot Ina. ZIvjela. Udruga HDP Dr. Rudolf Horvat osnovana je dvije godine nakon početka istraživanja koje je bilo fokusirano na istraživanje Drugog svjetskog rata i poraća, posebice komunističkih zločina počinjenih nad hrvatskim građanima krajem i neposredno nakon završetka rata. Tijekom poslijednjih deset godina istraživali smo u svim arhivima u Republici Hrvatskoj i Republici Sloveniji, Arhivu Republike Srpske u Banja Luci, arhivu u Londonu (The National Archives) te u pojedinim muzejima u Hrvatskoj i Sloveniji u kojima se također čuva arhivsko gradivo. Rezultati našeg dosadašnjeg rada tiskani su u većem broju knjiga i akademskih časopisa, a dio pronađenog arhivskog gradiva korišten je u MPhil dizertaciji Blanke Matković koja je pod naslovom “Mass Crimes and Human Rights Violations Committed by the Communist Regime Against Croatia Citizens at the End and After the Second World War (1944-1945)” u listopadu 2015. obranjena na Odsjeku za povijest Sveučilišta Warwick u Ujedinjenom Kraljevstvu pred komisijom u kojoj su se nalazili Dr Daniel Branch, pročelnik Odsjeka za povijest, i Dr Alexander Korb , profesor sa Sveučilišta u Leictesteru. Trenutno su u pripremi dvije knjige za tiskanje kojih prikupljamo financijska sredstva. Thanks Ina. I will tell Blanka. She’s lovely. Drop her an email as the Aussie Croats are great! So organized!